FBI Closes Anthrax Investigation The FBI announced Friday that it has formally closed one of its most controversial investigations: the inquiry into the 2001 anthrax attacks. They say that an Army researcher, Bruce Ivins, mailed envelopes with the toxin to politicians and news organizations, adding that he acted alone. The FBI announced Friday that it has formally closed one of its most controversial investigations: the inquiry into the 2001 anthrax attacks. They say that an Army researcher, Bruce Ivins, mailed envelopes with the toxin to politicians and news organizations, adding that he acted alone. One of the FBI's longest-running active investigations is now closed. Agents say that Army researcher Bruce Ivins was the man behind the 2001 anthrax killings, and that he acted alone. This case has been full of controversy. At first, the FBI suspected a different Army researcher, a man named Steven Hatfill. He was exonerated. He sued the government for millions of dollars and won. And then Ivins, who worked on developing an anthrax vaccine, became the prime suspect. He committed suicide before he was formally charged. NPR's Dina Temple-Raston was tracking this story for us two years ago, when Ivins first surfaced as the FBI's main suspect, and she joins me now. Dina, the FBI says Ivins was their man a year and half ago. And now, today, they're formally closing the case. What exactly does it mean, to close the case? DINA TEMPLE-RASTON: Well, by formally closing the case, the FBI is no longer bound by grand jury secrecy requirements. So that means they can release a lot of the evidence that we didn't get to see back in August of 2008, when the story broke. Now, if you ask the FBI, they'd tell you that they were sure they had the right man back then. But they kept investigating and talking to people for another year and a half until this release today. They've talked to more people who worked with Ivins at the lab at Fort Detrick, Maryland. And at the time, a lot of his colleagues and family members were saying they couldn't believe that he could have been behind it. And the FBI said that they actually developed a new science to actually type the anthrax and trace it back to a particular strain that Ivins had access to. And scientists had cast doubt on that, too. So what they're hoping is that this new release will kind of put some of that to rest. SIEGEL: Well, does the new evidence that came out today, does it settle, for once and for all, that Ivins did it? TEMPLE-RASTON: Well, the fact that Ivins killed himself without a note before he was charged means that - I think - there will always be doubts in this case. But basically, this is how the FBI lays out the case: that the strain of anthrax that was used in the attacks was a strain that Ivins and only a handful of other people had access to. And the FBI says that they've eliminated the other people as suspects. Back during that time frame in 2001, Ivins was spending a lot of long hours in the lab alone, and there was no big project going on the lab in September 2001 that would've justified his time there. And then, Ivins explained the hours by saying he was having a difficult home life and was trying to get away from it. But he kept changing his story, so it made the FBI sort of doubt that excuse. TEMPLE-RASTON: Exactly. The last time they released some information about this, the FBI released some emails that showed that he might have had some mental health issues, talking about feeling like he was two people and not one. He was stalking a co-worker. He was sending her presents and going to different cities to send them. These were all things that worried the FBI because the anthrax mailings were actually mailed from various cities with fake addresses. SIEGEL: That's NPR's Dina Temple-Raston on the news that the FBI is closing its investigation, its formal investigation into the anthrax killings of 2001. 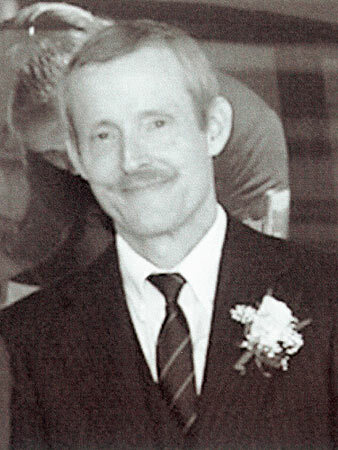 Dr. Bruce Ivins, seen in this 2003 photo, committed suicide in July 2008 as investigators closed in. The FBI has concluded that a former Army researcher was solely responsible for the deadly 2001 anthrax attacks, ending a nearly nine-year investigation, NPR has learned from sources familiar with the case. Officials planned to release new evidence Friday proving that Dr. Bruce Ivins, 62, mailed poison-laced letters to a handful of politicians and newspaper outlets — a finding the bureau advanced during its preliminary investigation more than a year ago. Five people died and 17 were sickened by the attacks. Government investigators were still several major legal steps away from indicting Ivins when he killed himself in 2008. The case has been controversial because the FBI initially believed a different Army researcher, Steven Hatfill, was behind the attacks. Hatfill eventually cleared his name and won a multimillion-dollar lawsuit against the government for wrongly accusing him. By formally closing the case, the bureau is no longer bound by grand jury secrecy requirements and is free to release new details and new evidence in the case. The FBI has already briefed the anthrax victims who survived the attack as well as the families of the five people who died after opening envelopes filled with anthrax spores. In 2008, during the preliminary investigation, the FBI revealed that Ivins had logged long hours alone in his lab at the Army Medical Research Institute of Infectious Diseases at Fort Detrick, Md. Investigators said Ivins used that time to process the anthrax for mailing. They also said Ivins tried to throw them off his trail by providing false leads – specifically mentioning other people they should investigate and switching a batch of anthrax they had asked to examine, among other things. The case took a bizarre turn in that summer as the FBI closed in on Ivins. In a bid to get the Army researcher to confess, investigators had been speaking with his lawyer and even showed Ivins some of the evidence they had gathered against him. Ivins took an overdose of Tylenol and died on July 29, 2008. His suicide sent conspiracy theorists into overdrive. They pointed to the fact that the FBI had been convinced that Hatfill was their man before turning their sights on Ivins. What's more, some of the letters had been sent from New Jersey, and investigators couldn't place Ivins there. People familiar with the case told NPR that the evidence to be released today will answer critics and prove beyond a shadow of a doubt that Ivins was behind the attacks and acted alone.